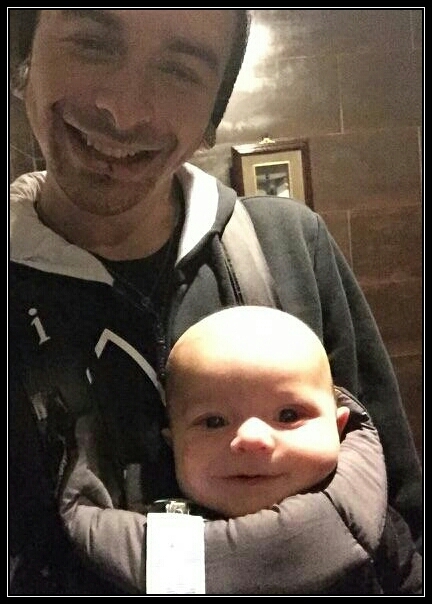 A surprise night out for Sushi dinner, and Ace’s daddy tried out babywearibg for the first time! He was a little nervous about not holding the bottom of the carrier for support at first [which I think is a natural reaction as I did the same thing] but after a little while felt much more confident in its safety. A comment was made too that he loved the fact that the carrier allowed Ace to be so close to his body and completely accessible! I currently have an Infantino but would love to invest in a woven as well … oh the stuff I browse online for these days! ps. Had to post a photo of me and Ace having dinner! 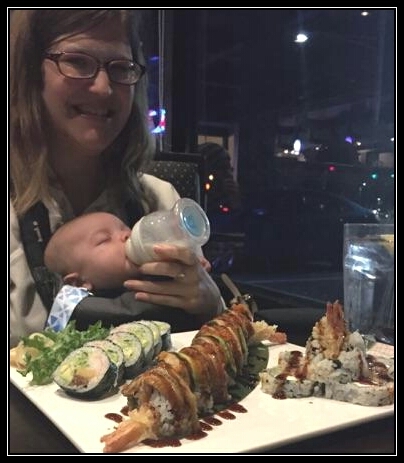 This entry was posted in Fourth Trimester, Maternity Shopping, New Mom Survival, Newborn, Newborn 101, Postpartum and tagged baby wearing, babywearing, daddy time, father and son, Japanese food, sushi dinner. Bookmark the permalink.